Palazzo di Sole premium WordPress theme is great WordPress template that is excellent for restaurants, bars, pubs, and bistros alike. Palazzo di Sole WordPress theme’s clear code and perfectly organized sets of PSD files make everything clean and easy to find. 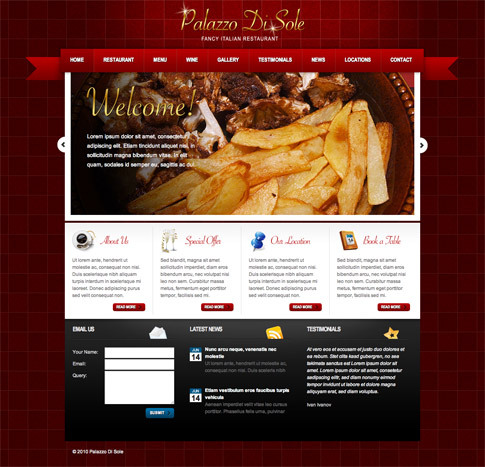 Palazzo di Sole premium theme contains a homepage, general inner page, blog page, and gallery page. No commercial fonts are used in this template, which means no additional editing cost! Download this amazing premium theme at the end of this post! Come back and check out the showcase as we find more sites from around the web using Palazzo di Sole.